Mommy Where is the Faucet? Isn’t it funny that we look at items and notice something isn’t quite right but we are so excited about buying our first home that we just pass right by? Well this is where the importance of a Home Inspection comes in. 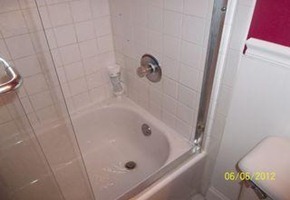 The buyers of this property could not believe they had been in this bathroom a dozen times during the buying process and they never noticed the missing faucet. Paying for someone with a trained eye to look at your future home is well worth every penny. Make sure you have your home inspected whether it is 100 years old or brand new. Homes are built by humans and so they have mistakes. Fort Worth Home Inspector, Chris Goggans, was really stunned to find this missing faucet.